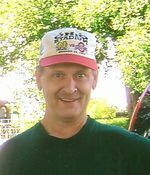 Mickey V. McQuillen age 63, of Ashland, died Saturday March 13, 2010 at Samaritan Regional Health System. He was born on November 24, 1946 in Ashland, the son of Charles W. McQuillen and Mary (Thompson) Oxender. Mr. McQuillen lived all of his life in Ashland. Mr. McQuillen was a veteran of the U.S. Marines and also the U.S. Navy. He was a former member of the AmVets and the V.F.W. He enjoyed making beef jerky. In April 1975 he married Patricia McQuillen who survives. Other survivors include his mother, Mary Oxender of Ashland; daughter Tonya McQuillen of Mansfield; two grandchildren; one great grandchild; sister Beverly Clark of Ashland, along with his brother and sister in law Rick and Barb McQuillen of Ashland. He was preceded in death by his father and his two sisters Suzanne McQuillen and Nicki Grey. A private family service will be held at the Ohio Western Reserve National Cemetery in Rittman, Ohio at a later date. The family suggests memorial contributions may be directed to the Heyl Funeral Home, 227 Broad Street, Ashland, Ohio 44805 in Mickey's name to defray funeral costs.